The Eagle AXS™ derailleur is smart enough to protect itself. The built-in Overload Clutch was designed to disengage on impact, return to position and shift back into gear. 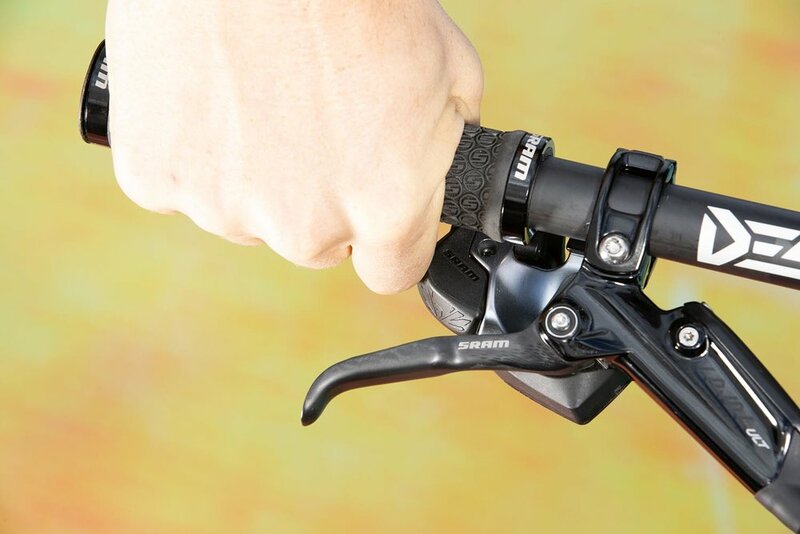 The primary purpose of the Overload Clutch is to protect the derailleur’s shift motor, but it serves to protect your derailleur and derailleur hanger from damage as a by-product. A very helpful by-product. Our intention with Reverb AXS™ was inventive and pure: No hoses. No routing. No energy wasted. Not a single thing in the way of the experience. We created a reliable wireless-electronic dropper post and controller that actuates with drastically less effort and zero distraction. 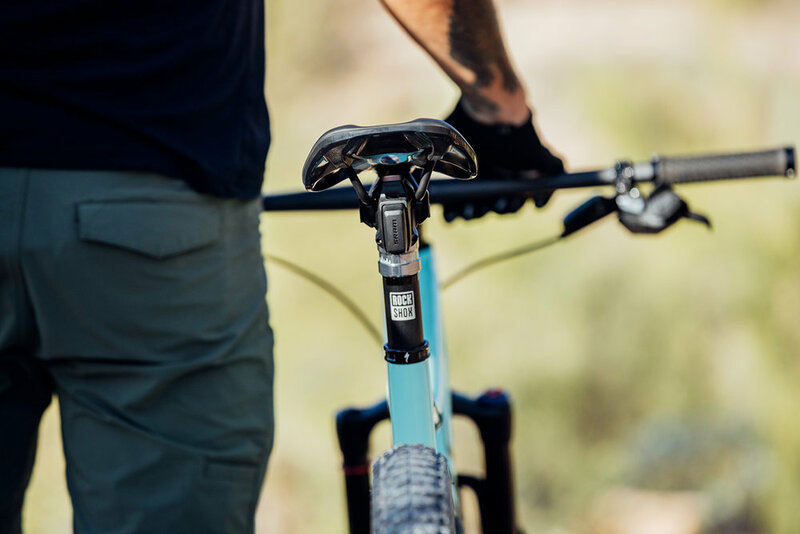 Expanding what’s possible on a bike, Reverb AXS™ is enabled by SRAM AXS™ technology, a new level of interaction, personalization, and connectivity across all AXS™ enabled components. Effortless wireless-electronic actuation and infinite height adjustment with a single touch. The wireless-electronic Reverb AXS™ is all Reverb, revamped with a controller you touch instead of a lever you throw. The perfect speed. Its infinite range lets you set it right where you need it, saving you time, energy, and keeping your focus on the trail ahead. Updated internals for faster return speed in all conditions. Reverb AXS™ is built with a next-generation, lower friction internal floating piston for faster post actuation and less downward saddle force needed from the rider. Featuring a new lubrication design, we eliminated even more friction and created smoother more reliable post performance. Find confidence by activating your dropper more often, with less effort, in any condition, over and over again. We don’t want you to have to use it, which is why we’ve created the most robust seatpost to date. We also know, sometimes the inevitable happens. Over time, air and oil may mix, resulting in that annoying post “squish” and the need for additional service. Vent Valve Technology allows you to do this simple service within a few steps, without any disassembly of the post. Depress the valve, compress the post, good to go. The air is channeled back into the air chamber leaving the oil where it belongs and you back to more confident reliable performance. SRAM AXS™ technology, a new level of interaction, personalization, and connectivity across all AXS™ enabled components. SRAM AXS™ technology is opening a new door to a connected experience with your bike. Connecting components to software. Enabling the wireless RockShox AXS™ controller to talk instantly to the Reverb AXS™ seatpost. Connectivity across multiple AXS™ enabled components all supported through the new SRAM AXS™ app. Customize AXS™ component configurations, review battery life, track usage, receive rolling firmware updates, and much more via the mobile app. But, don’t let the tech turn you off. The app is not required. You can simply install, pair, and ride. When Reverb AXS™ is used with Eagle AXS™ or even on a SRAM AXS™ - equipped gravel or road bike, dream possibilities become a sudden reality. AXS™ technology is the brain, expanding what’s possible on a bike. Available for riders to activate at any time. Tucked neatly into the back of its post head, the Reverb AXS™ uses the same rechargeable SRAM battery found on the Eagle AXS™ derailleur. Easy to remove, and simple to interchange between components if needed. From sun up to sun down, the SRAM battery boosts plenty of ride time (40 hours on trail depending on use) and fully recharges in under an hour. Using an auto-wake sensor, there’s no need to turn it on/off, it’s ready when you are.